On June 27, Bucher Aerospace Corporation, the Seattle-based branch of Bucher Group, was granted with the Technical Standard Order (TSO) authorization from FAA for its ARCTICart thermally insulated airline galley cart. Development work on the cart – which incorporates insulation technology used on pharmaceutical and human organ transportation – began in 2015, and this TSO is a key milestone for the project, as it means that aircraft operators can now start evaluating it and using it in flight. Francisco Aguilera, CEO of Bucher Aerospace stated that, “the ARCTICart program was launched with the ambitious and clear objective to present aircraft operators a solution to significantly reduce weight and power consumption of airplanes by allowing the removal of chillers from commercial aircraft”. Removing chillers can save not only the weight of the chillers themselves, but also the weight of the related ducting and wiring, as well as reducing power consumption, maintenance costs and cabin noise. 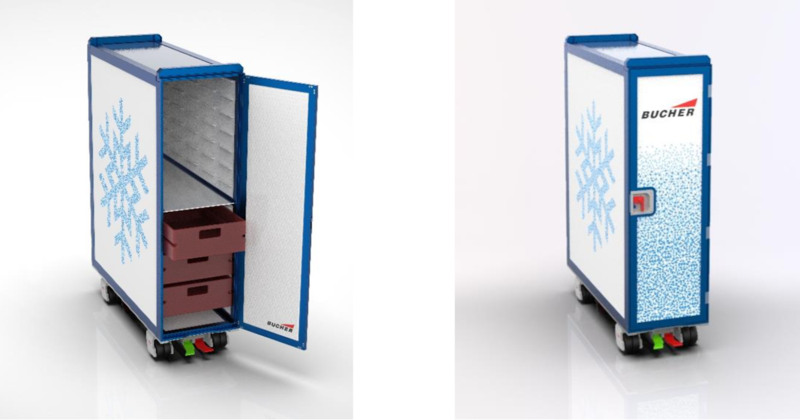 Bucher claims that the thermal insulation performance of the cart means it is able to keep contents below 4°C for up to 20 hours without the use of chillers or any other active cooling methods. The company also says that the cart does not reduce the internal usable space of an ATLAS-size cart and does not requires any dry ice, power supply or operating fluids. Reaching this extended time period is necessary to enable airlines to remove or not specify chillers on intercontinental flights. It also reduces the number of catering stations used in continental or domestic networks. This first full-size version of the ARCTICart will soon be followed by a half-size version. The ongoing industrialization and set- up of the ARCTICart assembly line in Everett, Washington will be able to allow delivery of the first serial units in 2018, just before production ramp-up in 2019.